Making any sale all boils down to one major factor, presentation. How well you showcase whatever item that you’re trying to sell will determine whether you’ll land a buyer or not. 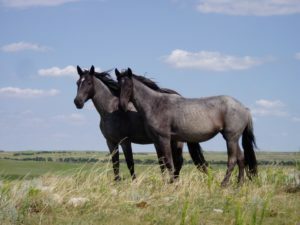 Horses are no different; these animals are quite expensive to buy and maintain, therefore, before one makes a buy, they have to ensure that they have all the information they need to make a pick. Sellers, on the other hand, are not spared, they need to make an excellent and honest presentation of their horses if they are to land buyers. Pictures, and if possible including a video to your sale horse description, will increase your chances of landing a buyer. Words may give an idea of how your horse looks like, but then a picture offers the perfect mental image. The quality of your picture is just as important. Take photos from an angle that highlights the beauty of your horse while at the same time showcasing all the essential details such as size, color, and breed among others. Videos are also good because they can help you to show the horse in action. For example, if it’s a racing horse or work or rodeo, you can show it in action. Majority of horse managers and owners have preferences on what activity they want their horse to engage in. Take a look at this example, as of March 2012, 73% of horses in the US were simply kept for pleasure, and 26% for dressage. This means that as much as the buyers want the basic details about the horse, they’ll want to know what it can do. If your horse is still in training, you can say so. However, the accomplishments that it has made will be more worthwhile. If the horse has been the top racer in its region, be sure to include that information in the description. Although it’s advisable to concentrate on the positive aspects of the horse, it’s still important to list its prominent bad habits that you feel your buyer needs to know. The mistake we all tend to make is that we forget to highlight them, causing buyers to have a rough time which of course tarnishes your good name. When it comes to horse buying and selling, just like any other business, credibility is a crucial aspect and it starts with being honest with your buyers. This is basic information that must be included in every sale horse description. Any physical deformities that may exist need also to be listed. Although the information to be included in your sale horse description seems a lot, it’s vital to ensure that you keep it simple and precise. Let it not be too detailed and ambiguous making it difficult for buyers to know exactly what you’re selling. All the information can be summed up in a couple of lines telling buyers precisely what you’re offering. Adding a great picture or video makes it easier to appeal to buyers and ultimately making it easier to make the sale. Give buyers the precise information, misleading them won’t do you any good. You don’t want your horse going to the wrong home or worse, a slaughterhouse! Statistics have shown a decline in the number of horses sold but still, more revenue is being generated. In 2008, the horse market received gross revenues of approximately $972,823,522 with up to 26,549 horses offered up for sale. Ten years down the line, horses up for sale stand at 18,196 grossing revenues of $997,193,129, highest in the same period. Horses are quite expensive animals, and it would be a great injustice to mislead buyers by giving false information. You may have the best presentation, but, without the correct information, your sale horse description will be useless and will therefore not achieve the intended purpose. Kevin is a professional educator and a private tutor with over 8 years of experience. He is also a content writer for various blogs about higher education, entertainment, social media & blogging. Currently, Kevin works as a part-time writer for eliteessaywriters.com. During his off time, Kevin enjoys traveling and cooking. Feel free to connect with him on Twitter, Linkedin & Google+.